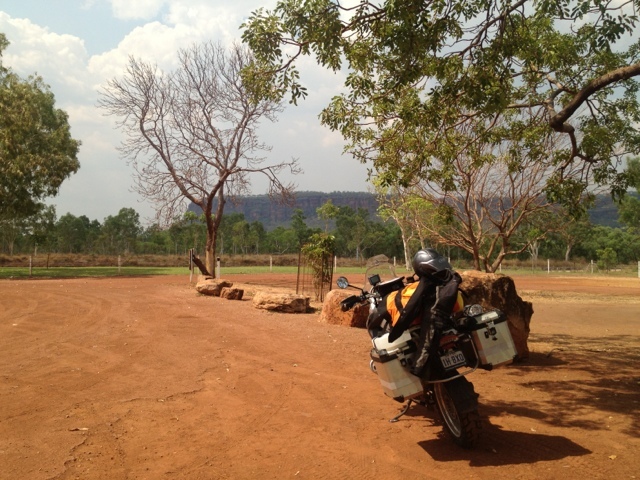 "After 528km turn right" the GPS chimed as I took off from Kununurra. I expected to stay a few days and do a fly/4WD/walk visit to the Bungle Bungles. However as it's nov 1 everything appears to stop today. This is a big disappointment as the weather is still fine (read sunny and 42deg). I expect I'll be meeting a lot of this from here on. Not to worry.... next time. After a brilliant coffee at the Mango Tree coffee shop I headed out. Special scenery today red ranges have risen all around me and theres green everywhere (that's not burnt) and wait for or..... bends (yay), big sweepers through the most brilliant country. 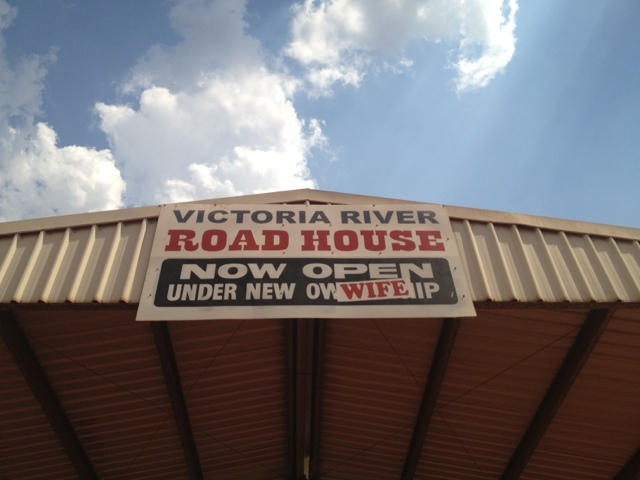 Lunch at Victoria river road house where the road crosses the Victoria river. It has been following the road ubtill now.